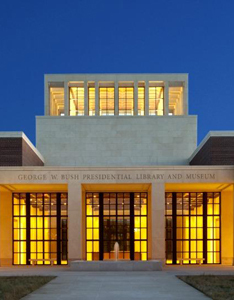 The home of the Bush Presidential Library and Museum and the Bush Institute is a fitting tribute to No. 43, with a permanent exhibit exploring Bush’s 8 years in office and his legacy as president. An interactive “Decision Points” theater allows guests to put themselves in the president’s shoes at critical junctures, while “Freedom Hall” features a massive video wall montage of all the U.S. presidents. The library also serves as an important resource for academic researchers, and the center regularly hosts events and speakers from the world of public policy.